What are the “ES Way” and our 360° Guarantee? In our 25 years of being in business, Exhibit Systems has a history of year-over-year growth. 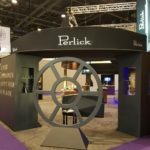 To continue this trajectory, we are committed to being the best exhibit and display company in the industry, especially regarding providing exceptional customer service. This dedication is reflected in our “ES Way,” which articulates who we are as a company and how we conduct business. Company Culture: We Live Our Core Values and it shows in our overall passionate and welcoming atmosphere. Growth Mindset: We are focused on reaching new markets, hiring the right people to meet growth targets, and ensuring client retention. Charitable Endeavors: We are committed to being charitable with our blessings as our calling and mission to be of service to our community. 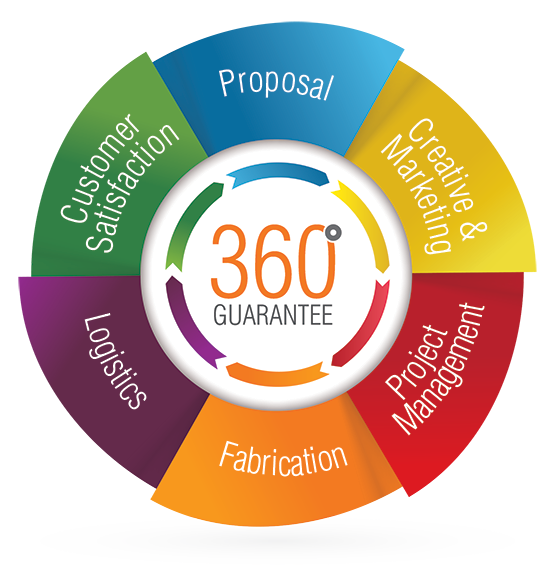 360° Guarantee: We deliver consistent and exceptional customer service by adhering to a high standard of excellence during every phase of a project. Let’s dig into the fourth pillar, our 360° Guarantee. The 360° Guarantee process was conceived, improved upon, and finalized in 2017 to support our target of providing a consistent, high quality customer experience for every client. This guarantee defines our internal and external processes and sets the standard for how we do business. Our goal is that every client’s experience with us is the best in the industry. It begins with our consultative discovery process and proposal–we deliver estimates and drawings promptly to streamline the decision-making process. Once underway, we update clients on fabrication with progress reports and photographs. Clients preview and approve the finished project before being packed for safe travels. We regularly notify clients of delivery dates and our experienced installation supervisors can be on site to ensure proper set-up and dismantle. 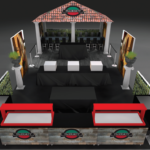 The entire Exhibit Systems team fully embraces and executes the 360° Guarantee process. Our team’s commitment is what allows us to achieve our growth goals and adhere to our four pillars. The ES Way means we view our organization as a Service Driven company, not just a manufacturing driven company. WE BUILD: exceptional displays, trusted relationships, and proven results guided by our core values.